William Lane Craig states, “Although most New Testament critics claim that the gospels were written after A.D. 70, that assertion, states Cambridge University’s John A. T. Robinson, is largely the result of scholarly laziness, the tyranny of unexamined presuppositions, and almost willful blindness on the part of the critics.”  It would seem that the unexamined presuppositions and assumptions are in need of examining, which is the goal of this article. I will be highlighting the robust, factual and thorough work of both William Lane Craig, and that of J. Warner Wallace in making the case for an early dating of both the Gospels and the epistles. (1) With regard to Mark, the first argument assumes that “the Christian theology” was not in fact Jesus’ own. To say it is “developed” assumes that it was once “primitive.” Actually the argument cuts both ways: one could argue that because Mark was written early, the theology is not” developed,” but truly characteristic of what Jesus taught. (2) The second argument assumes that Jesus did not have divine power to predict the future as the gospels state He did. In other words, the argument assumes in advance that Jesus was merely human. But if He really was the Son of God, as the gospels state, then He could have prophesied the future. (3) With regard to the arguments for a post-70 date for Luke, the first assumes Mark was not written before A.D. 70. But that assumption is itself founded on mere assumptions. The whole thing is like a house of cards. At face value, it makes more sense to say Mark was written before A.D. 70, for it seems unbelievable that Mark (whom critics agree was John Mark mentioned in Acts) would wait thirty to forty years to write down his gospel. Is it really plausible to think that Mark would wait decades before writing his brief gospel, which would be so valuable in sharing and leaving with newly established churches as the gospel preachers went about teaching and preaching? (4) The second argument against an early date for Luke assumes again that Jesus did not have supernatural power to foresee the future. And really, even on a purely humanistic account of the matter, there is no reason those predictions could not have been given before A.D. 70. 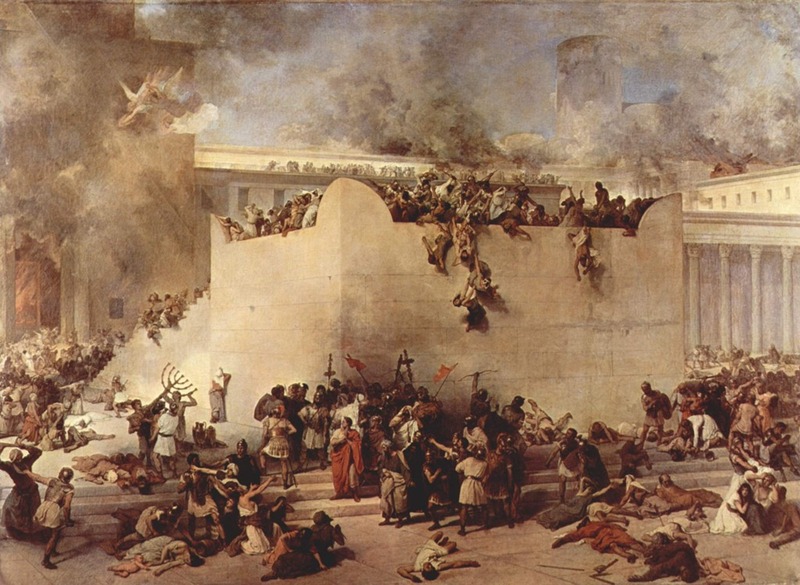 Prophets often predicted Jerusalem’s destruction as a sign of God’s judgment, and Jesus’ predictions may have concerned its destruction at the end of the world, not A.D. 70. As a matter of fact, Jesus’ prophecies are actually evidence that the gospels were written before A.D. 70, for Luke never casts the Romans in the role of enemies in his writings. In the predictions, Jerusalem is destroyed by her enemies. Since Jerusalem was destroyed by the Romans in A.D. 70, Luke must have written before that event. If he wrote afterwards, he could not have portrayed the Romans only as friends. Besides that, we have Josephus’s descriptions of the sacking of Jerusalem in A.D. 70, and many of the striking peculiarities of the city’s destruction are absent from the prophecies. But if the “prophecies” had been written after the event, then those peculiarities would surely have been included. So really the argument from Jesus’ predictions supports a pre-70 dating of the gospels. Actually several lines of solid evidence point to a date for Luke-Acts before A.D. 64. (a) There is no mention of events that happened between A.D. 60 and 70. Luke centers much attention on the events that took place in Jerusalem, but he mentions nowhere in Acts the destruction of the city in A.D. 70. That is quite significant, considering what a catastrophe the destruction of the holy city was for both Jews and Christians at that time. A second event noticeably absent is the Roman Emperor Nero’s terrible persecution of the Christians in Rome. From the Roman historian Tacitus we learn that Nero covered the Christians with tar, crucified them, and used them as torches to light up Rome at night. Others were clothed in skins of wild animals and thrown to starving dogs. It is unbelievable that Luke could gloss over that horrible persecution in silence. Still a third event not mentioned is the murder of Jesus’ brother James, who was leader of the Christians in Jerusalem at the time. Since Luke records the martyrdom of Stephen and the martyrdom of James the son of Zebedee, it is unlikely that he would fail to relate the death of James, the brother of Jesus, who was much more prominent. (b) There is no mention of the death of the apostle Paul. Paul was executed in Rome about A.D. 64, but at the end of Acts he is still alive in Rome awaiting his trial. The most plausible reason that Acts ends where it does, leaving us hanging, is that it was written before Paul finally came to trial and was executed. (c) The subject matter of Acts deals with concerns important to Christianity before the destruction of Jerusalem. For example, one of the burning issues in Acts is the relationship between Christians who had been converted from Judaism and Christians who had been converted from paganism. The problem was whether the pagan converts should be required to submit themselves to all the Jewish laws and customs in order to be Christians. That was a great difficulty for early Christianity. After the destruction of Jerusalem in A.D. 70, it ceased to be a problem, since Jewish Christianity was all but wiped out in that disastrous event. The subject matter of the book suggests that Acts was written when that issue was still current. natural explanation for the occurrence of those expressions is that Acts was written early enough to be in touch with the climate of the early days of the Christian Way. (e) The attitude of the Romans toward Christianity is positive in Acts. The Romans never appear as enemies in Luke-Acts; they are at best friendly or at worst indifferent. Such a portrayal of the Romans would have been possible before Nero’s persecution in A.D. 64, but afterwards it would have been an obvious and cruel misrepresentation. (f) There is no real acquaintance with Paul’s letters in the book of Acts. The author of Acts does not refer to or seem to be well acquainted with Paul’s many letters. Thus Acts must have been written before Paul’s letters became widely circulated. That favors a date as early as possible for Acts, since the later it is dated, the harder it becomes to explain why the author does not know of Paul’s letters. These six lines of evidence combine to present a powerful case that Acts was written before A.D. 64. (This evidence is both compelling and authoritative, and as far as I know, has not been refuted convincingly by any reputable scholar.) Since Luke wrote his gospel before he wrote Acts (Acts is a continuation of the gospel), the gospel of Luke must have been written around A. D. 57 or the very early sixties. This is a conclusion of tremendous importance, for it means the gospel of Luke was written just about the same time as Paul’s first letter to the Corinthians (A.D. 55). Luke therefore ought to be regarded just as historically reliable as Paul. “But wait a minute,” someone will say. “Granted that Luke and Paul wrote about the same time, still Paul had earlier sayings and sources to go on.” But so did Luke. He specifically states that his information concerning the events of the gospel was “delivered to us by those who from the beginning were eyewitnesses and ministers of the word” people who saw and heard what he reports in his gospel. Luke was probably a traveling companion of Paul’s (Acts 16:10-17; 20:5-21:18; 27:1-28:16) and spent time in Jerusalem, where he could gather information firsthand from those who had been with Jesus and had witnessed the resurrection appearances. Therefore, Luke’s information should be regarded as reliable as Paul’s. This means that Paul saw the risen Christ and learned about the gospel accounts from the eyewitnesses (Peter and James) within five years of the crucifixion (most scholars place Paul’s conversion from AD 33 to 36, and he visited Peter and James within three years of his conversion, according to Gal. 1:19). This is why Paul was able to tell the Corinthians that there were still “more than five hundred brethren” who could confirm the resurrection accounts (1 Cor. 15:6). That’s a gutsy claim to make in AD 53–57, when his readers could easily have accepted his challenge and called him out as a liar if the claim was untrue. We know from the introductory lines of the book of Acts that Luke’s gospel was written prior to Acts, but we must use the remaining circumstantial evidence to try to determine how much prior. The fact that Paul echoed the description of Jesus that was offered by the gospel writers is certainly consistent with the fact that he was aware of the claims of the Gospels, and his quotations from Luke’s gospel in 1 Tim. 5:17-18 and 1 Corinthians 11:23-25 reasonably confirm the early existence of Luke’s account, placing it well before AD 53-57. 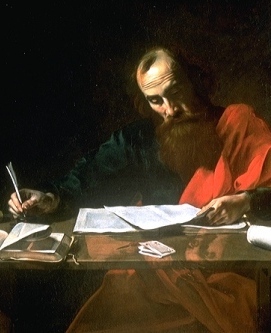 Paul was able to quote Luke’s gospel and refer to it as scripture because it was already written, circulating at this time and broadly accepted. Paul’s readers recognized this to be true as they read Paul’s letters. Luke told us that he was gathering data from “those who from the beginning were eyewitnesses and servants of the word” (Luke 1:2). As a result he either referred to or quoted directly from over five hundred verses that are found in either the gospel of Mark or the gospel of Matthew. It is reasonable to infer that these accounts were in existence prior to Luke’s investigation. If this is the case, Mark’s gospel would date much earlier than Luke’s, and can be sensibly placed in either the late 40s or very early 50s. This then explains some of the characteristics we see in Mark’s gospel. There appears to be a sense of urgency in the gospel, similar to the crime broadcasts that are made by responding officers, and Mark appears to be protecting key players in the account as if they were still alive at the time of his writing. While skeptics would like to claim that the Gospels were written well after the alleged life of the apostles and much closer to the councils that affirmed them, the evidence indicates something quite different. The circumstantial evidence supports an early dating for the Gospels. The gospel writers appear in history right where we would expect them to appear if they were, in fact, eyewitnesses. William F. Albright wrote, ‘We can already say emphatically that there is no longer any basis for dating any book of the New Testament after about AD 80, two full generations before the date between 130 and 150 given by the more radical New Testament critics of today.’ (Recent Discoveries in Bible Lands, 136). Elsewhere Albright said, ‘In my opinion, every book of the New Testament was written by a baptised Jew between the forties and eighties of the first century (very probably sometime between about AD 50 and 75)’ (‘Towards a More Conservative View,’ 3). This scholar went so far as to affirm that the evidence from the Qumran community show that the concepts, terminology, and mind set of the Gospel of John is probably first century (‘Recent Discoveries in Palestine’). ‘Thanks to the Qumran discoveries, the New Testament proves to be in fact what it was formerly believed to be: the teaching of Christ and his immediate followers between cir. 25 and cir. 80 AD’ (From Stone Age to Christianity, 23). …John A. T. Robinson wrote a revolutionary book titled Redating the New Testament, in which he posited revised dates for the New Testament books that place them earlier than the most conservative scholars ever held. Robinson places Matthew at 40 to after 60, Mark at about 45 to 60, Luke at before 57 to after 60, and John at from 40 to after 65. This would mean that one or two of the Gospels could have been written as early as seven years after the crucifixion. At the latest they were all composed within the lifetimes of eyewitnesses and contemporaries of the events. Assuming the basic integrity and reasonable accuracy of the writers, this would place the reliability of the New Testaments beyond reasonable doubt. While some New Testament critics may continue to hold to certain presuppositions (and unproved assumptions) which may fall into the category of ‘the tradition of the elders,’ in light of the case made above for early dating of the gospels, I would like to suggest that all New Testament scholars/critics put aside their presuppositions and take a fresh look at the evidence in this article. The case for early dating is strong, certainly stronger than a late, post-70AD dating, except for the possibility of John’s gospel. But even then, John A. T. Robinson offers a compelling case for John’s gospel being dated before or by 65AD in his book referenced above. J. Warner Wallace-is a cold-case homicide detective, a missions leader, and a church planter. As a result of his work with cold cases, Wallace has been featured on numerous television programs including Dateline, FOX News, and Court TV. Wallace’s visual presentations in the courtroom have revolutionized how capital offense trials are presented in Los Angeles County and across the country. A vocal atheist for many years, Wallace is now an apologist for Christianity with a Master’s degree in theology and the founder of the coldcasechristianity.com apologetics web site/podcast. I highly recommend this site.